2016 Acura ILX Production Begins! At Butler Acura we are SO EXCITED to share an important milestone — yesterday, January 27th marks the 2 millionth sale of Acura vehicles in the United States, 20 years after Acura production began in the United States. The first new 2016 Acura ILX sports sedan rolled off the line at the assembly plant in Ohio yesterday. So what’s different about the 2016 ILX? What makes it so special? It’s been completely redesigned and re-engineered to deliver higher performance, delivers more advanced technology and more luxury refinement than before. Speaking of ILX’s – we have only THREE 2015 Acura ILX’s left in stock AND they’ve just been discounted by $4,000! 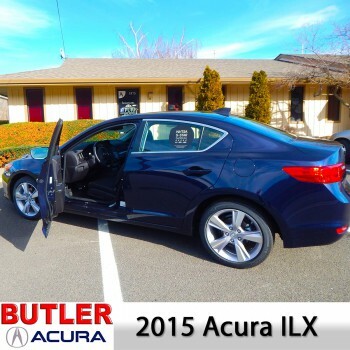 This special ends January 31, 2015 so experience the THRILL of the 2015 Acura ILX today!